On Saturday night while her husband was out of town the lovely Em (of It Pleases Us fame) and I had a hot date at Easy Tiger, the brand new Thai restaurant on Smith Street. We'd impulsively booked a table after I'd been babbling excitedly away at her about the Thai food I'd had the weekend before up in Sydney (will write it up on the blog posthaste! ), and after we'd seen some Easy Tiger-related chitchat on the Twitters from a friend whose food opinions we value highly. 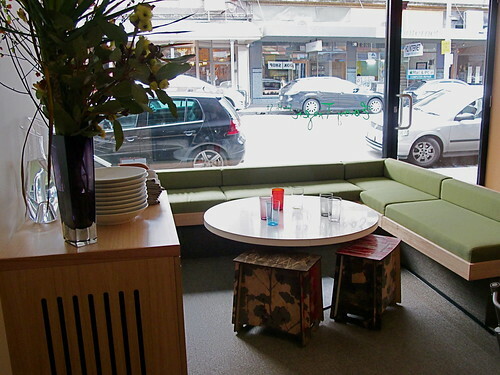 The restaurant is small (the room seats just 36) but I like what they've done with it, particularly the 1970s-esque green couch and the Spacecraft Zaishu stools from just around the corner on Gertrude Street. I didn't get the chance to see it, but apparently the restaurant also has a covered deck area out the back which seats another 40. 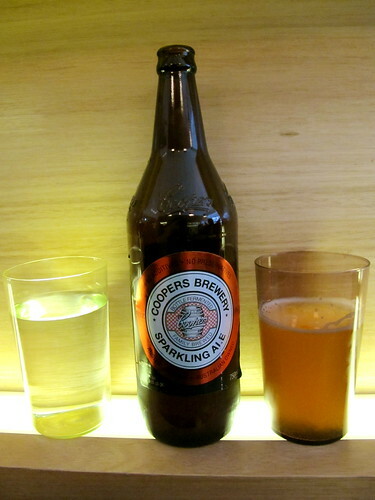 Em and I shared a longneck of Coopers, which we kept propped up on the shelf conveniently located next to our table. The excellent drinks menu includes a snappy list of wines, beers, ciders, classic aperitifs and even a couple of varieties of sake. 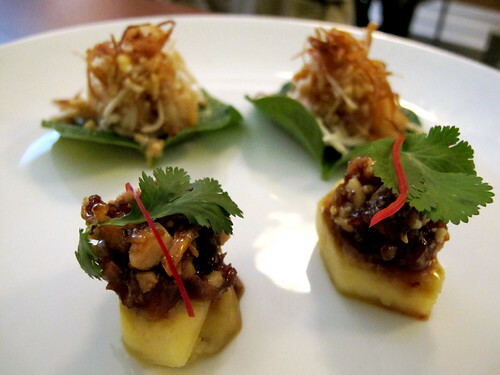 To start with we ordered two snacks each: the ma hor (little scoops of minced prawn, pork and chicken cooked in palm sugar and sitting on slices of fresh pineapple, $4 each) and a miang-like ensemble of betel leaves topped with prawns and fresh coconut ($5 each). Both looked fabulous, but were markedly lacking in the spice department. Without a chilli kick to balance the palm sugar, I found the ma hor slightly sickly sweet. We also ordered a pair of son-in-law eggs ($4 each, listed with the side dishes rather than with the entrees). The runny son-in-law eggs schmeared with chilli jam at Gingerboy remain one of my favourite snacks/hangover-cures in town, so I was a mite disappointed to find that these were neither runny nor spicy – again, the little flecks of dried chilli seemed like they were more for decoration than anything else. The list of mains was rather short (just five), but two dishes in particular caught our attention, possibly because they both contained melon. 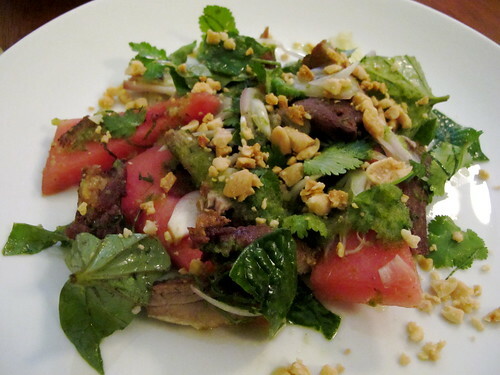 First was the duck and watermelon salad with green chilli, mint and peanuts ($25). I'd never tried duck and watermelon together before, and was surprised at how well they went with each other. I liked that the salad had a good whack of mint. 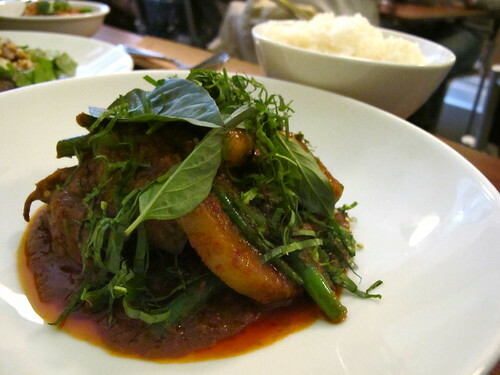 We also had red curry of grass fed beef shin, winter melon and snake beans ($28). Finally, a dish with some heat! The beef was beautifully tender, and the winter melon was an interesting (albeit rather firm) choice. Ah, but dessert! 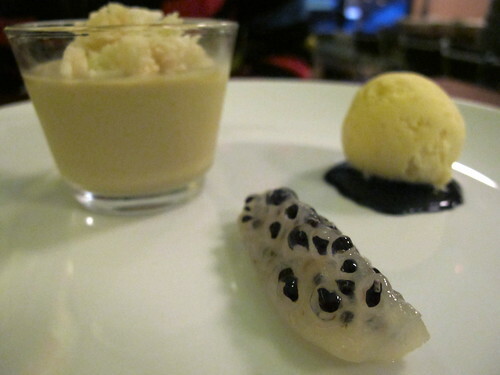 Em and I shared a dessert that we instantly agreed was our favourite dish of the night: steamed duck egg custard with rice ice cream and steamed dragonfruit ($14). Turns out it was Joyce's favourite dish too! The steamed custard had a wonderfully smooth texture that contrasted with the puffed rice and lime sorbet sprinkled on top, and I loved the scrape of black sesame paste with the rich, creamy ice cream. I'd only ever eaten fresh dragonfruit before, and was charmed by its translucent appearance when poached. We enjoyed Easy Tiger, and I'm keen to head back there soon to explore a few more items on their menu (expecially the other two desserts, the chocolate and pandanus leaf dumplings with melon and the sago pudding with coconut jelly and caramelised sugar banana). The chocolate comes from next-door neighbour Monsieur Truffe. 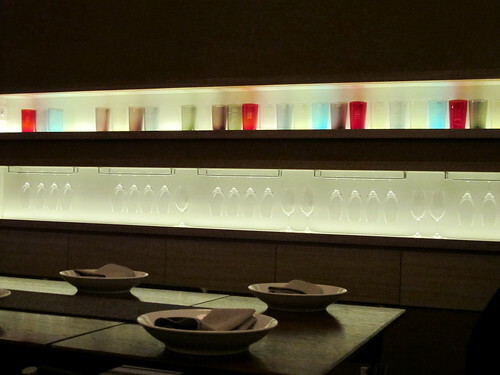 The restaurant fitout is cute and the staff were bubbly and efficient. If it isn't already obvious, my one gripe with Easy Tiger is the question of heat. I knew to not expect food so spicy it'd make us cry (like that AMAZING soup I had on my recent trip to Thailand). And I get that the trio running Easy Tiger are going for more of a "modern interpretation of Thai cuisine... like Longrain". But still, we couldn't help feeling that several of the dishes would be greatly improved by ratcheting up the heat just a few notches. I daresay the punters in this hipster 'hood could handle it! Looks like a modern thai restaurant that is focusing more on concept, modern plating and ambience rather than good old thai food..
oh how brisbane needs a thai food shake up! your dessert sounds great! Restaurants (e.g. Thai, Indian) that feel the need to tone down the heat/spice for a Western palette are a pet hate of mine. Had a look at your Paladarr Thai Issan review from 2009 - how does Easy Tiger compare to that and which would you recommend more? The reason I ask is because the other week I went to a place in Portland (Oregon, not the one at the end of the Great Ocean Road) called Pok Pok (http://www.pokpokpdx.com/menu_dinner.htm) that specializes in Norther Thai/Issan and it was awesome. And it really nailed the sweet/sour/spicy combo. 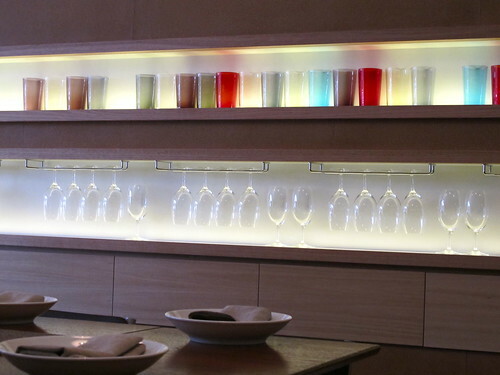 They have beautiful thai restaurants in Smith Street, This place looks so modern, what are the prices like? 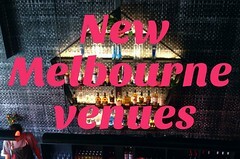 I've only just heard of this place last night! Somehow there's never a 100% authentic Thai place in Melb, and we're so close to the South East! I'm with Joe on this one. $50+ a head for patchy fusion Thai? This city can do better than that. 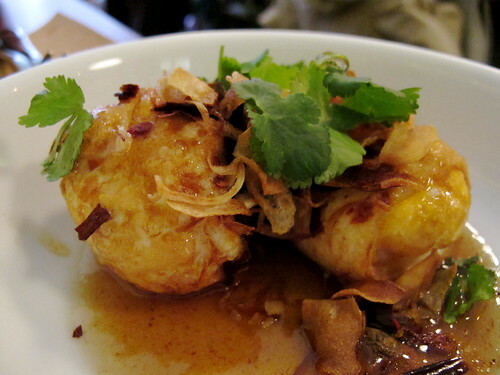 Still keen to visit Easy Tiger, despite the mixed reviews on heat. 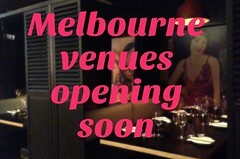 Looking forward to your write-up of Sydney Thai - I'm hoping it will be a trip down memory lane for me. think i'll wait a few weeks before trying this place out, hopefully they'll improve some of the kinks.